Whether you want to step into the sole of Japanese culture, improve your health from the toes up, or simply make your staycation a little cozier, you can find a pair of indoor footwear to fit your needs with our list of Japanese house slippers, shoes, sandals. Japan uses a different measuring system than Western countries, so it’s important to make sure you know your size before you buy. Check out our sizing guide for Japanese clothing, or the Japanese shoe size charts below. The use of slippers in Japan is said to have become widespread during the Meiji period (1868–1912) as a way to welcome Western visitors into Japanese homes without unintentionally dragging in debris. Now, you can flip the tradition by opening your own door to Japan’s famous footwear. While there are many decorative designs to choose from, most Tatami Slippers feature a gentle curve from heel to toe to provide a snug, natural fit. Felt-like material on the outsole ensures that the slippers are as delicate on your flooring as they are on your feet. Craft your very own indoor footwear with a DIY Waraji Sandal Kit! Choose from four eye-catching colorways, then follow a simple weave pattern (using the easy-to-understand video tutorial below) until your new slip-ons (22–25 cm) are complete. More than a perfect pair of indoor summer slippers, the kit maker Panami claims that the interwoven cloth strands can stimulate circulation, which can help relieve cramps and get your health back on the right footing. Split-toed tabi shoes were a crucial part of the ninja’s espionage arsenal. While modern-day Japanese and Western shoe brands have revisited the iconic design, Tabi Slippers have also become a fun yet comfortable indoor footwear for stealthy, stay-at-home missions. Pick a patterned pair that best blends in with your carpet or decor, and begin your secret R & R mission. Frontier “Room’s” Shoes are professionally engineered with the indoors in mind. Crafted with elegantly simple faux leather and fur designs that earned Frontier a coveted 2016 Good Design Award designation, these stay-at-home clogs feature anti-slip soles and curved toes to prevent a sudden stumble. They also come in kiddie sizes (18 and 20 cm) to protect the pitter-patter of smaller feet. And if you would like to see more Good Design Award products from Japan, scroll through our list of 2015–2016 Japanese watch winners. Japanese Toilet Slippers ensure invisible germs aren’t dragged throughout the house after your bathroom break. Traditionally set outside of the bathroom for guests to slip into when nature calls, these slippers are also ideal for tykes who are still learning the ins-and-outs of toilet training, leading to a stress-free lavatory experience and mess-free floors. In Japan, where walk-in shower rooms are quite common, Bath Boots are (sometimes literally) a lifesaver—keeping your feet both dry and steady on slippery floors. While most Western homes don’t have a separate shower room, these oversize washroom waders make ideal footwear for cleaning the lavatory, keeping your balance while mopping hardwood and tile floors, and ensuring no cleaning chemicals come into contact with your feet while scrubbing inside the tub or shower. With plenty of styles to keep pace with your child’s budding fashion sense, these Moonstar Uwabaki School Shoes are standard classroom attire for Japanese kids—and are sure to be a hit with your little one, too. Soft soles combine with durable designs for playful looks that are as gentle on your child’s tiny toes as they are easy to clean in your washing machine once playtime is over. Once again, Thanko capitalizes on Japan’s reputation for bewilderingly unusual—but super convenient—gadgets. Forget about layering socks when the winter winds howl against your windows. With Thanko’s USB Carbon Fiber Slippers, you can comfortably warm up during the chilliest time of the year without having to leave your couch. Just plug the fuzzy slippers into your laptop or gaming console’s USB port and let your toes bask in the gentle heat of carbon fiber technology! Adjust the temp to fit your comfort zone, then set the gadget’s timer, in case you get cozy enough to doze off. Your feet carry you through even the most strenuous days. Now, you can show appreciation for your overworked extremities with the Tsu-bo Fit Slippers. Slide your feet around the toe grips and start strolling about your domicile to massage hard-to-reach muscles and ease cramps in your tender soles. Available in beige and black, this unisex design is engineered to fit most adult feet (22.0–24.5 cm). Japan’s aptly named Diet Slippers claim to help shed extra pounds—not through pills, special foods, or exercise routines, but simply by sporting cute and colorful indoor sandals. These shortened heels require the wearer to tense the leg muscles while moving about the house, leading to a straighter posture, stronger circulation, and a toning workout for your calves and thighs. As inexpensive as they are petite, these slimming slippers are a popular dieting trend among Japanese women worth trying yourself. If you’re ready to dip your toes into the world of Japanese house slippers, then step on over to FROM JAPAN—the online proxy service that can conveniently ship this indoor footwear and more straight from Japan to your bare feet. 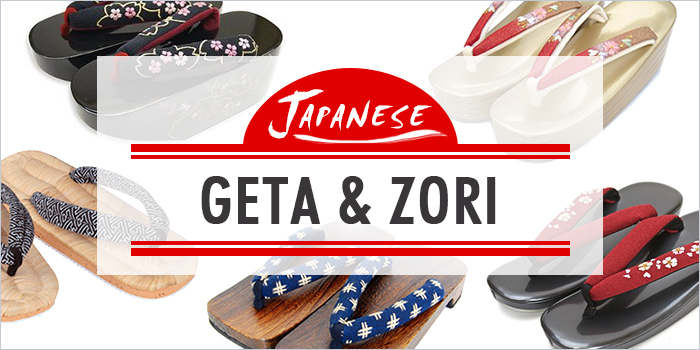 And for more ideas on Japanese sandals, be sure to read through our guide to traditional geta and zori.